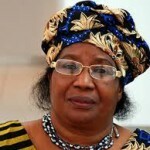 Dr. Joyce Banda, the first female president of Malawi, shares her journey as an activist, business leader, and politician. Dr. Banda left an abusive marriage in 1981 and vowed to gain more independence. After a visit to the U.S. in 1987, where she saw first-hand examples of the transformative power of entrepreneurship and leadership, she returned home with a mission to look beyond the success of her own business and help other women live up to their full potential. Dr. Banda founded the National Association of Business Women (NABW). With CIPE support, the organization grew to more than 15,000 members and made an important difference in the lives of women entrepreneurs in Malawi. NABW has successfully empowered many women. An impact study revealed that 73 percent of the women it supported had grown out of poverty, 84 percent of the women had gained respect in their households, and 40 percent had moved from informal sector to the formal economy. Dr. Banda’s drive to empower women in Malawi lead her to politics and, eventually, the presidency. She continues to be an active advocate of women’s empowerment in Malawi and beyond, inspiring other women with her story and vision for the future. This video first appeared on the CIPE Development blog.